Sunday, June 15th, the individual categories of the Acropolis Grand Prix were played with three categories in the agenda. In the under 19 section, 4 players competed for the trophy. 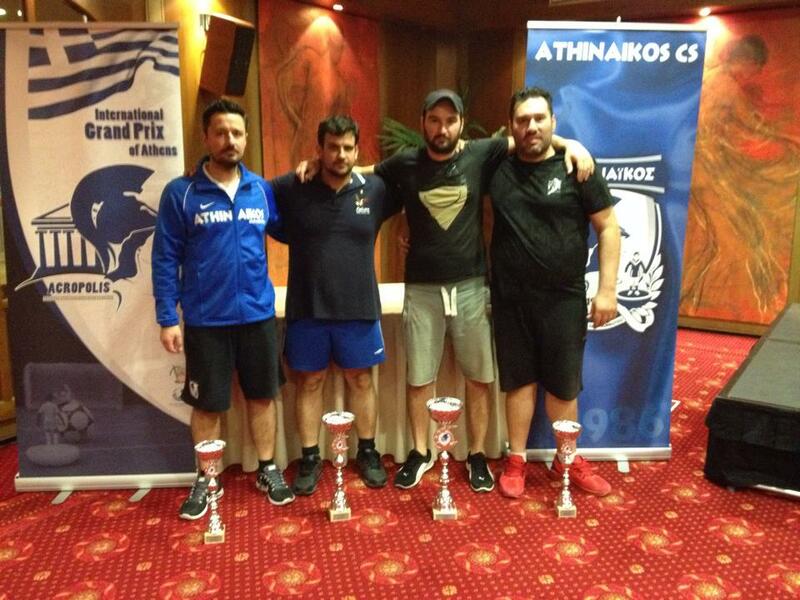 Manos Kapsambelis was the winner, Giorgos Vlassopoulos was second, Vasilis Nitis third and Michalis Apostolidis fourth. In the veterans 16 players were present. Lazaros Papakonstantinou beat in the final Giorgos Aggelinas. Sotiris Korologos and Marcos Kapsambelis were the semi-finalists. In the open category (44 players) Nicos Beis was the winner, Spyros Hantzaras was the runner-up. Kostas Seses and Dimitris Kosmopoulos were the semi-finalists. In the team event of the saturday, 13 teams competed for the trophy. The final was close and the Falcons beat Roligans in the sudden death thanks to a goal of Spyros Hantzaras. Athinaikos and Olympia, reached the semi-finals.